"Perhaps I had a wicked childhood, perhaps I had a miserable youth, but somewhere in my youth or childhood, I must have done something good." Whether those words are sung from Carrie Underwood or from Julie Andrews, they resonate with me here today, friends. We're coming to the near close - one more week - of another great series of projects and posts from my ladies who collaborate on the Fresh Holiday Traditions series. I feel blessed to have been asked to work alongside these minds and spirits, and I feel pretty lucky that they were willing to do it one more time!! 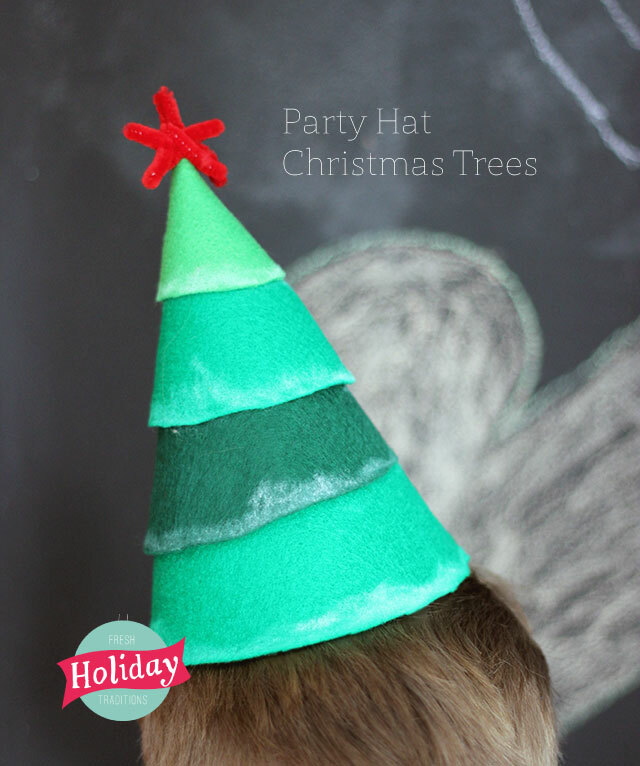 And today, we're adding Party Hat Christmas Trees - fun for the kids table at holiday meals (or the adult table), or to set around the office or house in seasonal decor. Inspired by the clever craftings of Kelly from Studio DIY, we over here at Pars Caeli decided to convert our old party hats into Christmas trees! These cute cones make a great head toppers as well as darling Christmas decor. Imagine setting up the kids table with party hats, some felt (precut depending on the ages), some pipe cleaners, sequins, pom poms, and see what kind of hats they can create before Christmas Eve dinner! 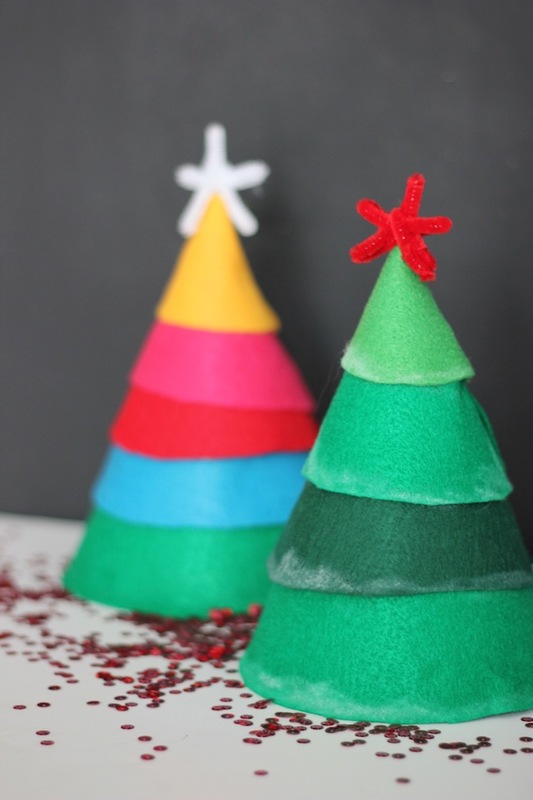 Grab some felt (about two rectangles per tree), some craft glue or hot glue, chalk, and other crafty notions. First, unfold one of your party hats to trace the size for your C-shaped ring of felt. I used chalk to trace my outline. It makes a nifty double as snow! We selected a variety of colors for a traditional and more modern tree. I'm kind of a felt softie. I can always find a reason to get a few sheets every time I swing by the craft store. Ring by ring, beginning on the bottom, glue the felt onto the hat! Varying colors adds some texture and life to your creation. You can imagine these as all white with silver and/or gold accents, too! Hello holiday photo booth! Little elves find them quite funny. Imagine whole forests!! Or entire family photos with everyone in tree-d hats! !